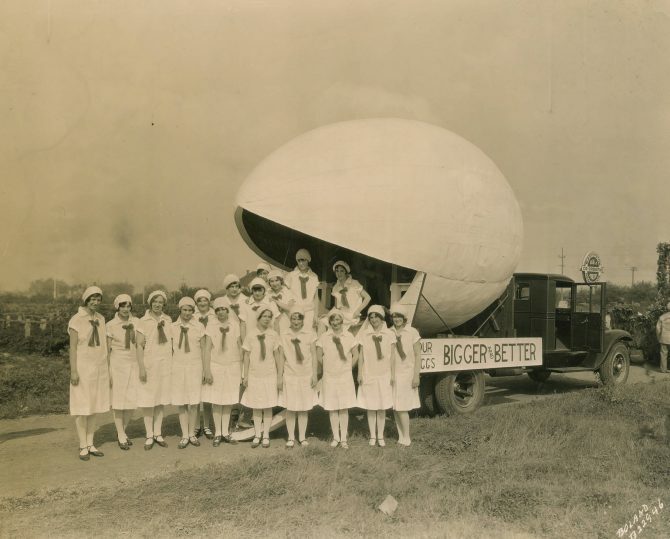 A group of young ladies "pop" out of a large "egg" as they await entry into the Western Washington Fair on September 18, 1930. The similarly dressed women are representing the Washington Co-op Egg & Poultry Association. The "egg" being hauled by a heavy duty truck, is a symbol of the Co-op's claim of their eggs being "Bigger & Better."